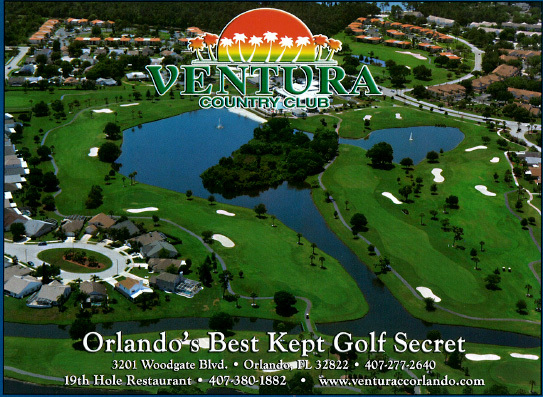 Ventura Country Club, Orlando, Florida - Golf course information and reviews. 7/10 - Made my first hole in one on the hardest hole on the course. The General Manager was there to witness it. He gave me 4 founds of golf for free. On the 18th hole the club Pro came out to congratulate me. Very nice people. Add a course review for Ventura Country Club. Edit/Delete course review for Ventura Country Club.